Bali is one of the popular staycation destination for residents and expats living in Jakarta who wish to escape the hectic city life. It is just a two hours flight away from Jakarta which is about the same time you would spend in traffic per day while in Jakarta. As soon as you arrive in Bali, time seem to run slower. Bali may be a very touristy place and can be crowded during weekends, Bali on the other hand has some of the best resorts in Indonesia, most of which are much better (and can be more affordable) than city hotels in Jakarta. One of the best resorts in Bali is Sheraton Kuta Bali Resort. 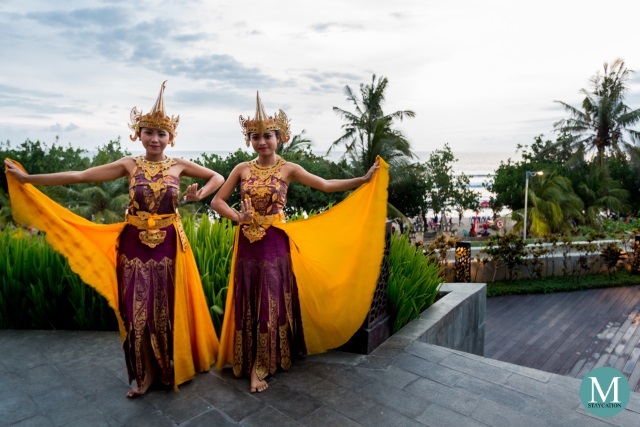 Sheraton Kuta Bali Resort is a beachfront resort in Kuta Beach and is surrounded by restaurants, bars souvenir shops. Beside it is Beachwalk Shopping Center which houses high-end restaurants, cafe and boutique shops. within the resort, guests can enjoy facilities such as an outdoor swimming pool and an in-house spa. 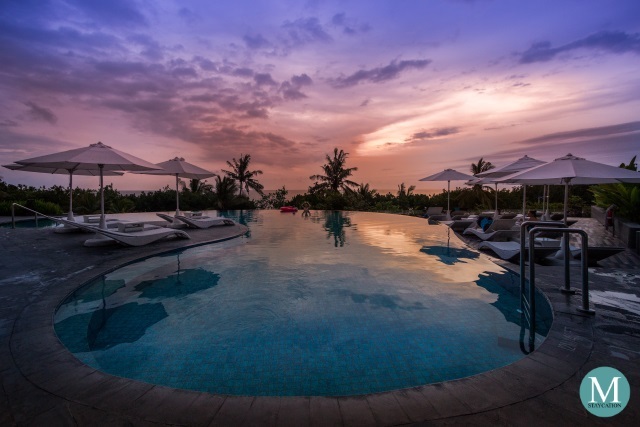 All of these features make Sheraton Kuta Bali Resort ideal for city folks looking for the laid-back Bali vibe with easy access to the modern comfort of a city. 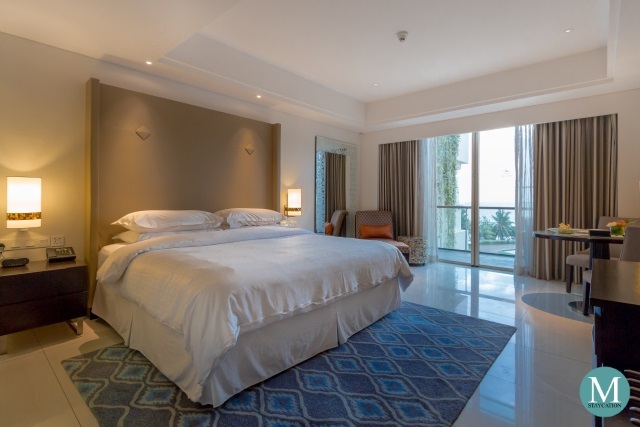 Sheraton Bali Kuta Resort features 203 elegantly designed and spacious guestrooms and suites offering spectacular views of the Indian Ocean. The rooms have a flat screen television with local and international satellite channels perfect for those movie marathons. The resort also has high speed WiFi internet connection perfect for Netflix. Most of all, their beds are super comfortable. Those who lack sleep during the workweek can definitely recharge during their stay at the resort. Check out the Deluxe Ocean Front Room were I stay in at Sheraton Kuta Bali Resort. 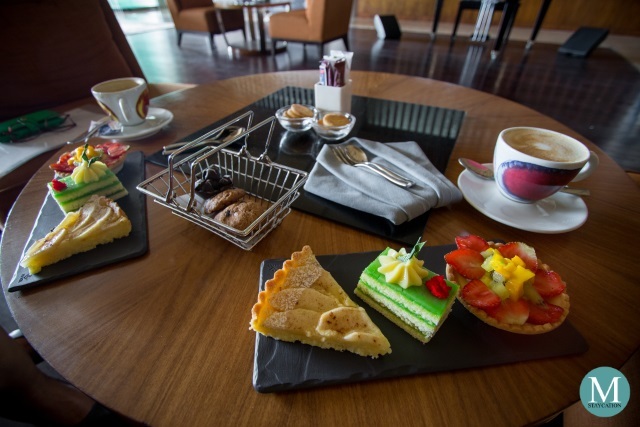 During lazy afternoons, you can catch up with friends or family over afternoon tea at The Lounge. You can also catch up on the last book you purchased or Netflix series on you smartphone while sipping on your favorite tea blend or espresso drink. But if you really want to get the most of your staycation, I suggest ordering from room service. 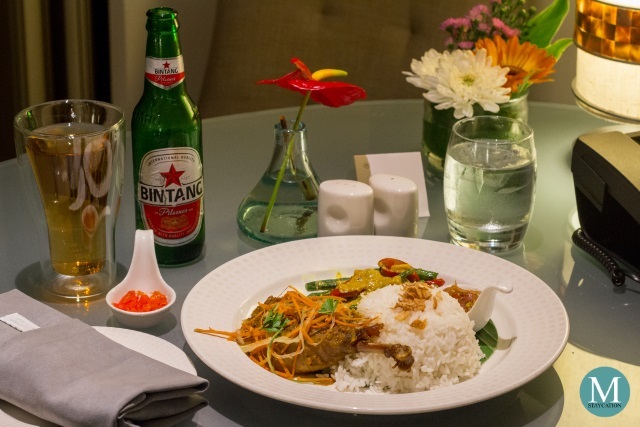 The in-room dining menu has an extensive selection of Western, Asian and local dishes. 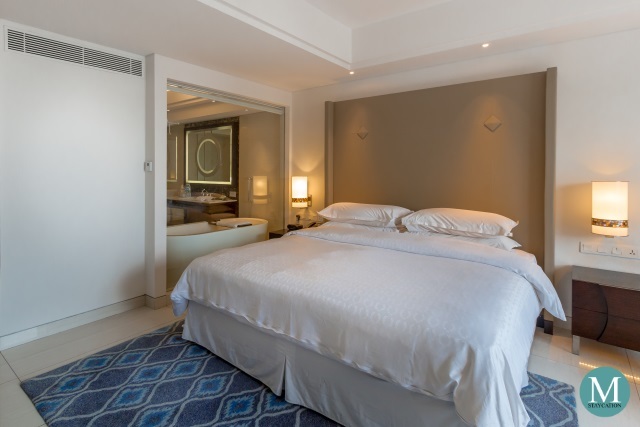 The rooms are also designed with leisure travelers and staycationers like you in mind, so the resort made sure that you enjoy your in-room dining experience by providing you with proper dinner table in your room. 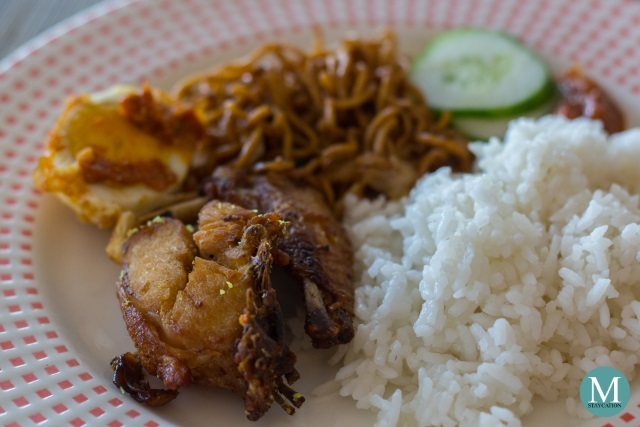 For breakfast, you may also opt to order in-room breakfast, but if you prefer a heavier breakfast, then I recommend that you book a room which includes buffet breakfast. 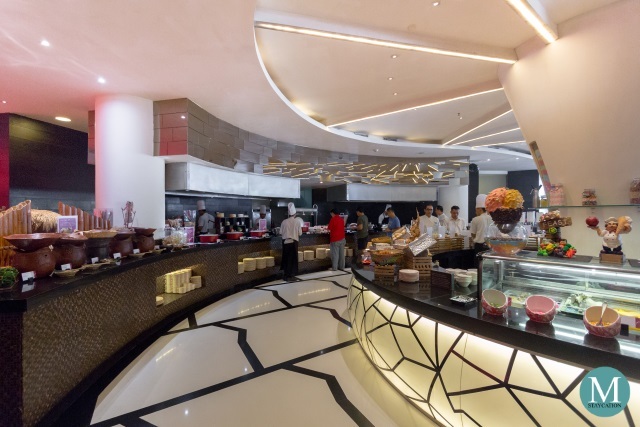 Feast Restaurant is the resort's all-day dining restaurant which serves both local Balinese and international dishes prepared at its live cooking stations. 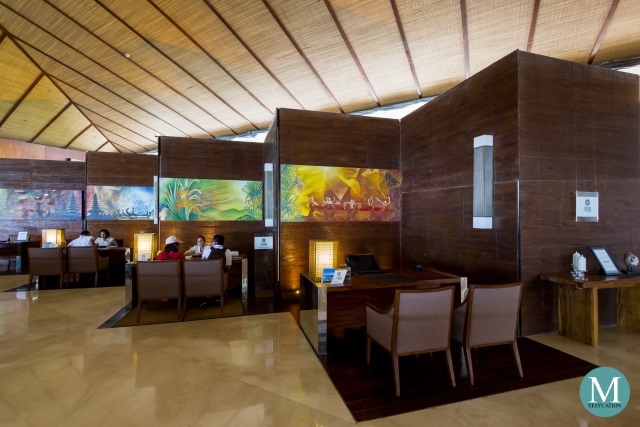 Sheraton Kuta Bali Resort is located about 6km north of Bali's Ngurah Rai International Airport. 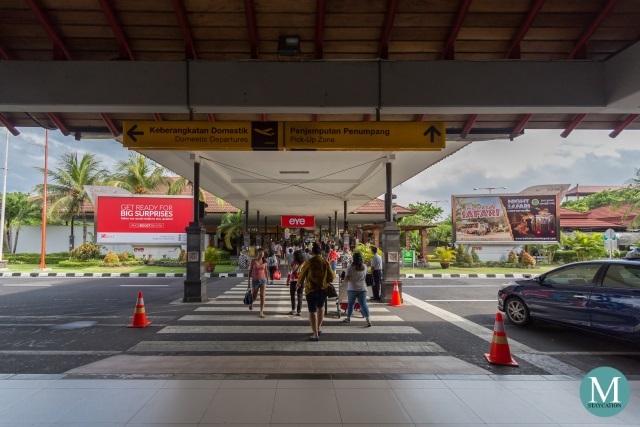 To get to the resort, guests arriving at the Domestic Terminal can take the Ngurah Rai Airport Taxi. Their booth is located on the right side of the Arrival Area exit. Fare is fixed at IDR 80,000.00 (US$ 6.00). Travel time is about 30 minutes. Going around Bali, guests can ask the resort concierge to call for a taxi. Alternatively, guests can also use the Grab mobile app to book for a Grab car.